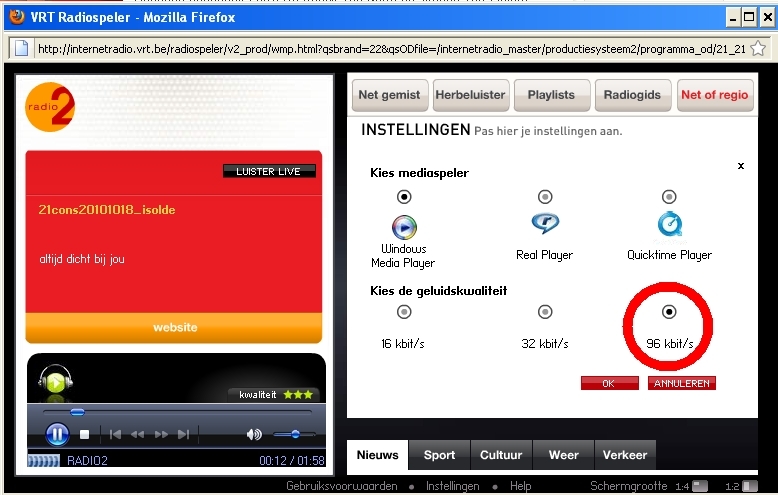 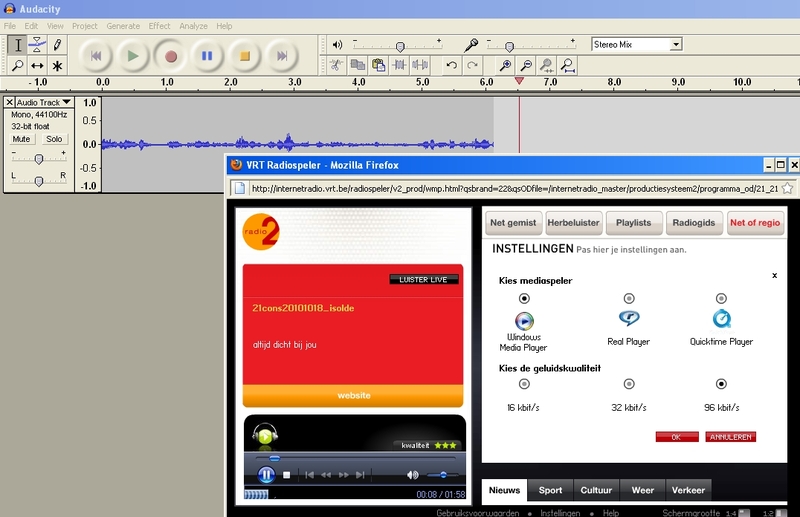 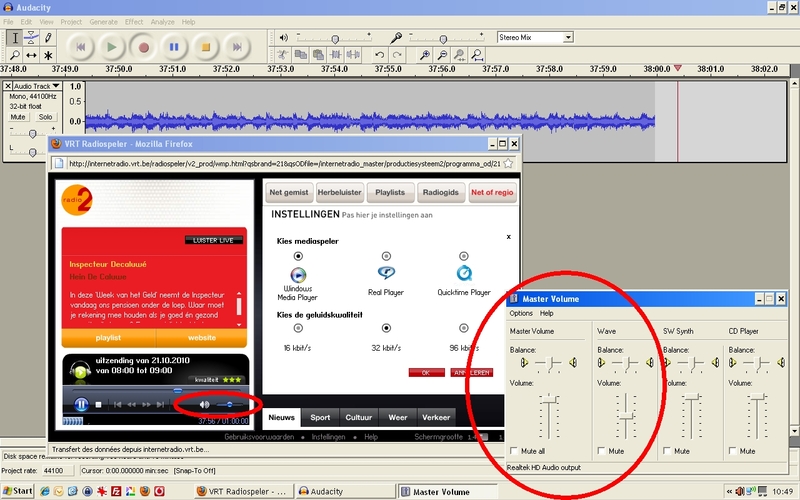 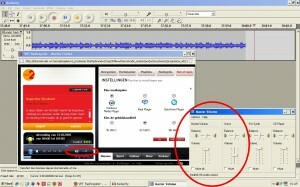 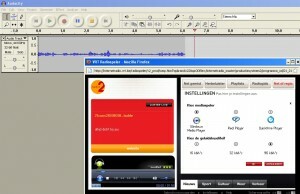 Audacity is a freeware application that allows to record any audio played on your pc. 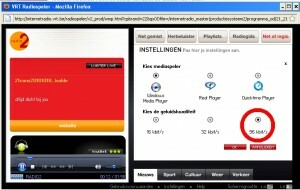 Download the application from the project site. 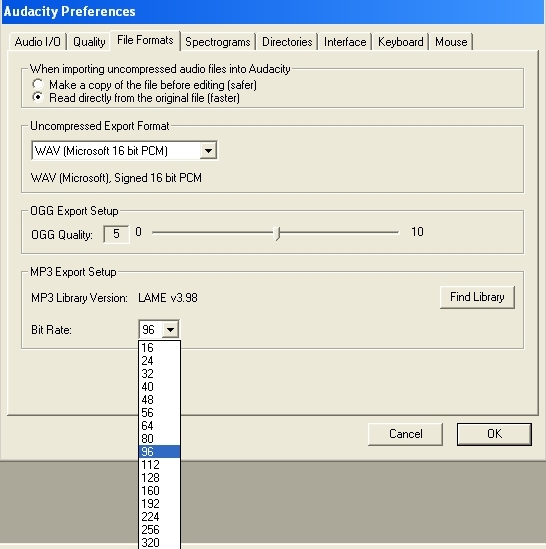 By default, the records can be saved in ‘wav’ format. 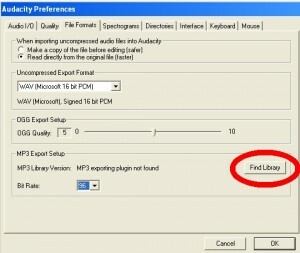 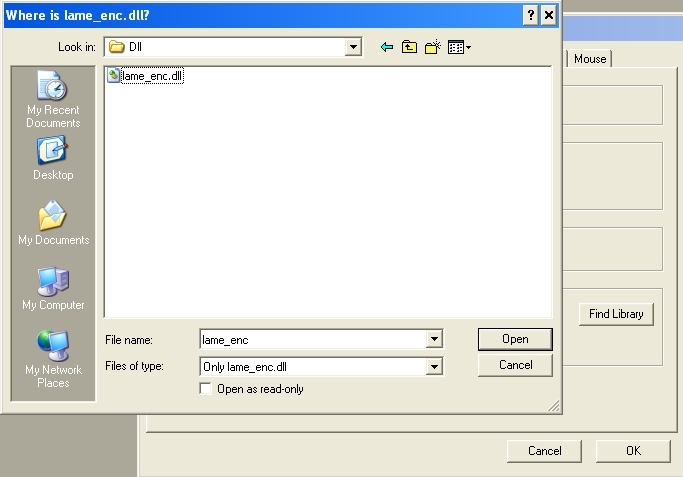 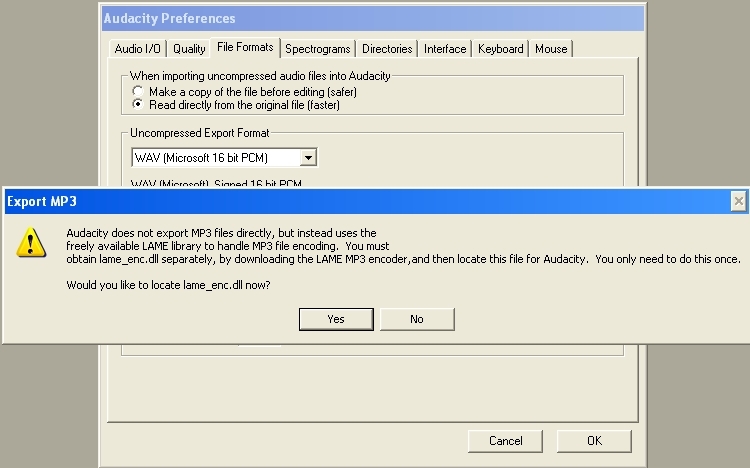 To save the recording in ‘mp3‘ format, you must install the lame encoding (‘lame_enc.dll’). 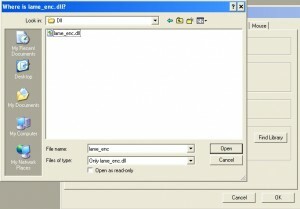 Download the lame file, here from the bioss site or from the project site or from this codec site. 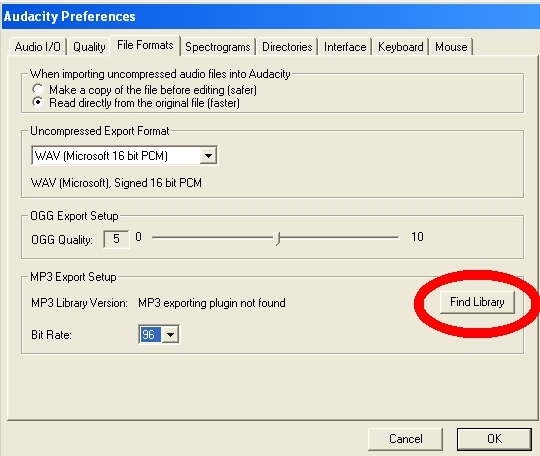 Warning: changing the audio level of your pc has a direct impact on the recording audio level – ‘what your hear, is what you get’ – if you turn off the PC speaker (mute), you will record silence. 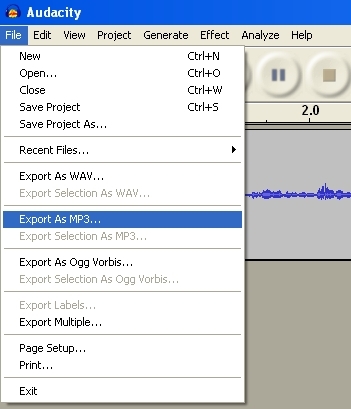 Before saving (exporting), you may want to edit the recorded file and cut the non-relevant parts at the beginning and the end. 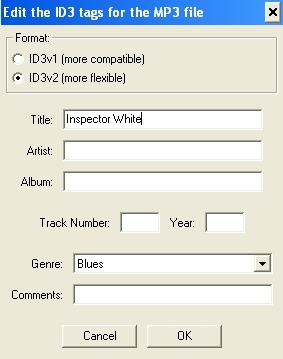 Posted by bioss at 8:06 pm on October 18th, 2010. Categories: support. 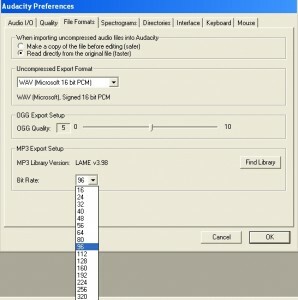 Tags: audio, windows.